DESI SMITH Staff photo. 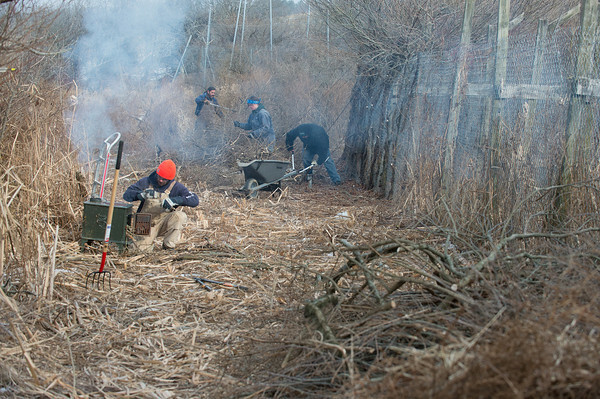 Volunteers Mark Burgess (front) Caitlyn Maloney,Christine Anckner and Fred Stanton work on clearing the fence line, in order to fix the fencing that gave away last week and allowed six wolves to escape at Wolf Hollow on 133 in Ipswich Ma. All six returned in time for feeding time. December 14,2013.